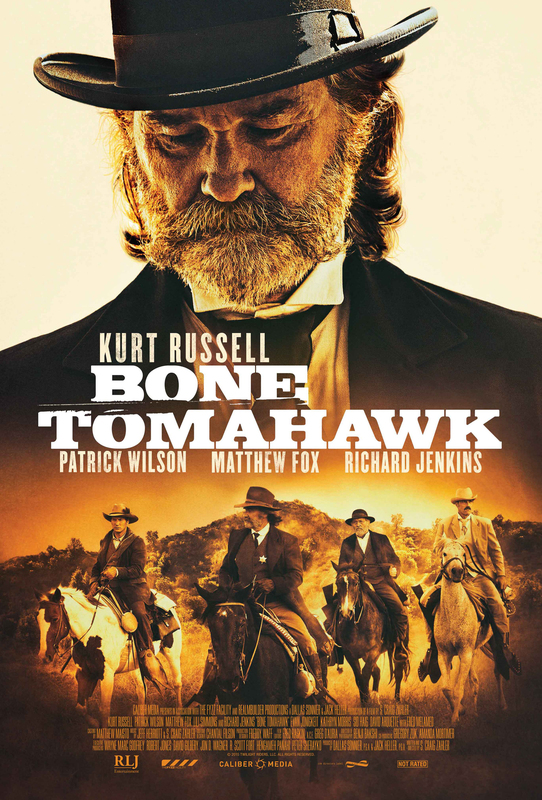 Bone Tomahawk is now available on VOD and home video and it is by far one of our favorite films of 2015. Director S. Craig Zahler spoke with us recently about the film and discussed the movie’s production, casting and the creation of the nightmarish and brutal ‘Troglodyte‘ tribe. Check out the official synopsis, followed by our exclusive interview below. What led to you making this film? S. Craig Zahler: I always wanted to do something where I had control. At the point in my career when I wrote the script at the end of 2011, I’d sold or had options on about 20 different pieces. I was watching a lot of Indie Horror and micro-budget stuff. 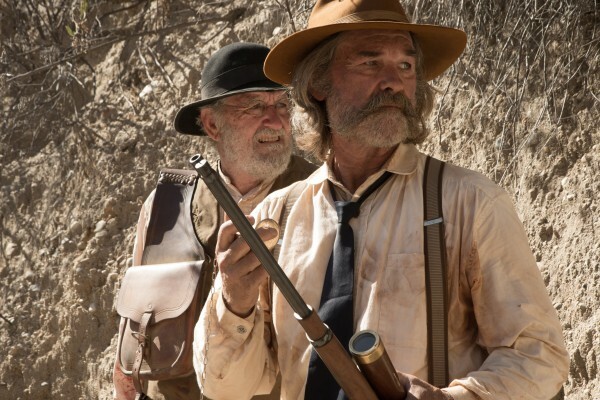 I was watching a lot of this stuff towards the end of 2011 and said, “You know what, I’m just gonna make one of these.” I talked to my manager Dallas Sonnier, who was the main producer of Bone Tomahawk, and my agent. They said if I’d wrote a Western, they could take it around and get a cast on board. The ability for me to write something that could get a good cast on board would make the budget be taken care of, and the reality is I think I’m a better Western writer than Horror writer. This piece was specifically geared for me to direct, and knowing that everyone looks at the stuff I write and they’ll have all their different ideas of how to develop it; a lot of those development ideas will be how to make it more normal and in essence get rid of a lot of what I feel I do best. How was it casting the film? SCZ: Kurt Russell was an obvious and I think great choice for Sheriff Hunt and Richard Jenkins was the very first person we went to for Chicory. Kurt came on board at the beginning of 2012 and Richard came on around the same time. At that time we had other people in other roles and people’s availability came and went. Matthew Fox was on board for the better part of a year and we had many nice exchanges about the John Brooder character. Peter Sarsgaard was on board for most of the time and left, and we were real excited to go to Patrick Wilson who was truly great to work with and I’m really happy with his work on it. The bottom line for most of these people was they really believed in the material, and for Patrick Wilson in particular, the idea of being in a Western with Kurt Russell was kind of a childhood dream for him. A lot of people were really excited to be there and enthusiastic. What inspired this type of story? SCZ: The ‘Troglodytes‘ are wholly fictional creations. The other sub-genre this film belongs in besides Western, and certainly a lot of people would say Horror, is Lost Race fiction. That kind of fiction really appeals to me. The idea of going out and finding something brand new and the idea of doing a Western where people come across a race of people that are unique to this movie, that’s really appealing to me. From that aspect on, the rules of their society and how they interact with one another, how they communicate, reproduction; all that sort of stuff I thought out, and there a lot of hints and moments I obviously didn’t go out of my way to explain that stuff. It comes from my appreciation of Lost Race fiction in general and my preference for places that go some place new. Almost all of my favorite Westerns are Adventure pieces, and a piece that lands where this one does was very cool. How does it feel to be getting so much critical praise? SCZ: It feels great. It’s nice to see the movie being as well received as it is. The critical response has been really, really good. It’s satisfying to get it out there and see people responding to a movie that takes it’s time like this. There are some pretty pregnant pauses, like the first conversation that Sheriff Hunt and Chicory have over the corn chowder. Leaving that scene the way it is with those spaces, I wish more movies did that. I want people to like it, but I didn’t make creative decisions so that people would like it. I’m hopeful that some of the many pieces of mine that are sitting around Hollywood get activated from this. I just found out the Museum of Modern Art here in New York is screening it as part of their ‘Oscar Contenders’ series. Whether this is an Oscar contender in any way, I certainly hope that Richard Jenkins gets a nomination. That’s a very nice honor to be offered something like that.